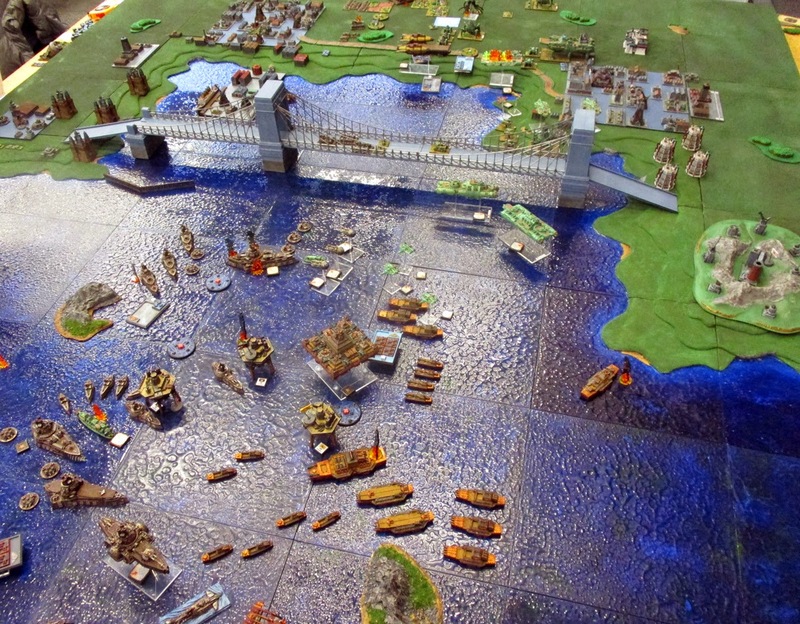 Return fire from the Russian fleet strikes the Dun Bastions, but the floating platforms press forward, shielding the ships which follow behind. 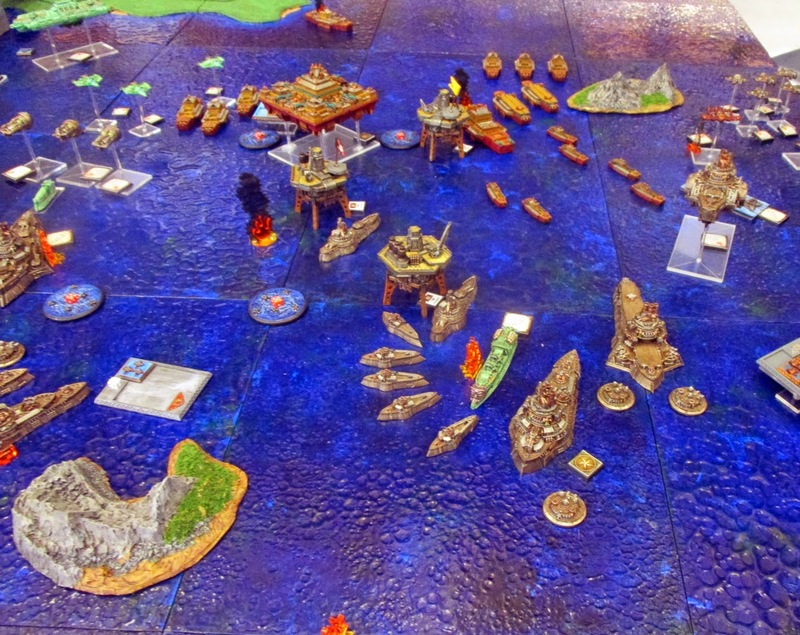 Chinese conscripts from agile Nu Frigates also scramble aboard an unclaimed oil rig, and run up the yellow dragon flag of the Chinese Federation. Meanwhile, over the cities port, a pair of Grom Gunnery Airships bravely draw Japanese fire, surging forward to strike at a squadron of Ronin medium walkers. Salvo after salvo struck the airships as the massed walkers near the Imperial Alchemical institute concentrate their fire and send first one, then the second, airship crashing to the ground. Blazing Sun fighter planes also swoop forward and send two of the Szabla Interceptors plummeting to earth. General Iwao now orders the Second Combined Combat Group forward to attack the Poteshny Administration Offices across the open plain. As the Japanese advance shells explode around the Bansan small walkers and Ryou Hover Squid but, they are protected from the firestorm by the guardian generators of the Ronin Walkers that follow behind. Meanwhile Japanese rockets claim an Orlov heavy tank as it rumbles from the city into open ground. 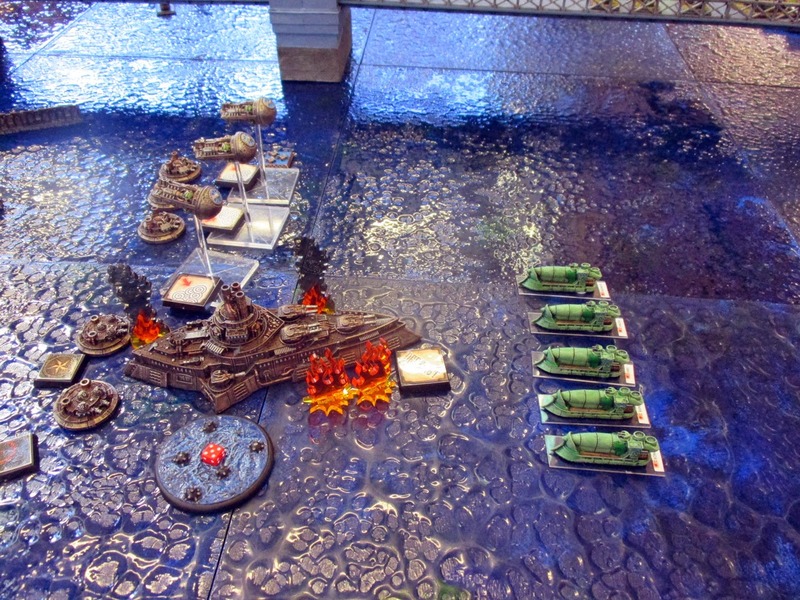 Authors Note: At the end of the first turn the Imperial Bond score 5 Campaign Points (3 from objectives, and 2 from scrapyard Victory Points) while the Grand Coalition score 4 Campaign Points (all from captured objectives). Both Russian and Japanese Generals now dispatch tanks to cross the Zolotoy Bridge, and attack the enemy installation on the opposing bank. 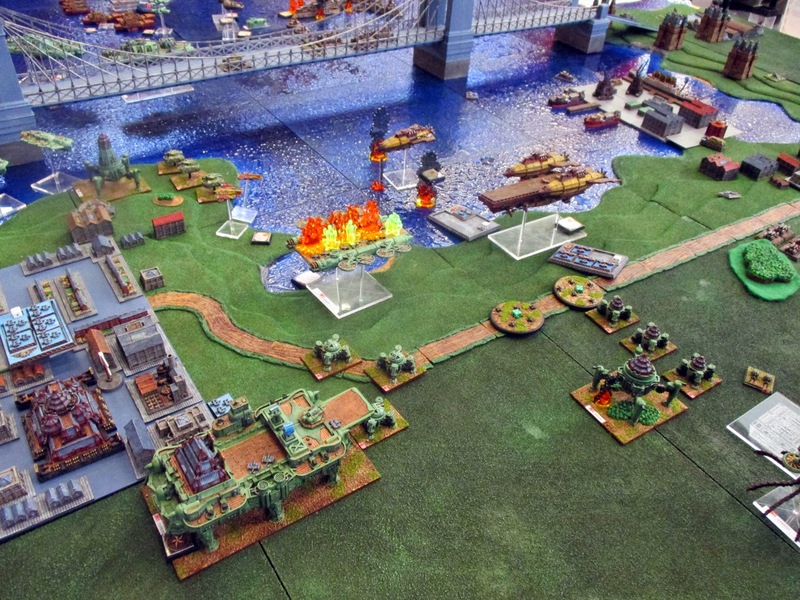 Tanks meet near the centre of the massive suspension bridge, and the Russian Kamchatka tanks initially get the best of the exchange, destroying several Ke Ho tanks, then drive through the flaming wreckage and crush others beneath their massive wheels. The Raijin Command Gyro provides swift retribution, raining rockets on the Russian tanks and firing a disruption node into the midst of the Russian fleet – though only one Russian generator is shut down. The Gryf Flame Airships now make for the Imperial Alchemical institute, ready to unleash their Blue Beret marines, and seize the objective. As they approach the city they bathe the hovering Tenkei Sky Fortress in fire, causing the huge gyro to become engulfed in a furious blaze. 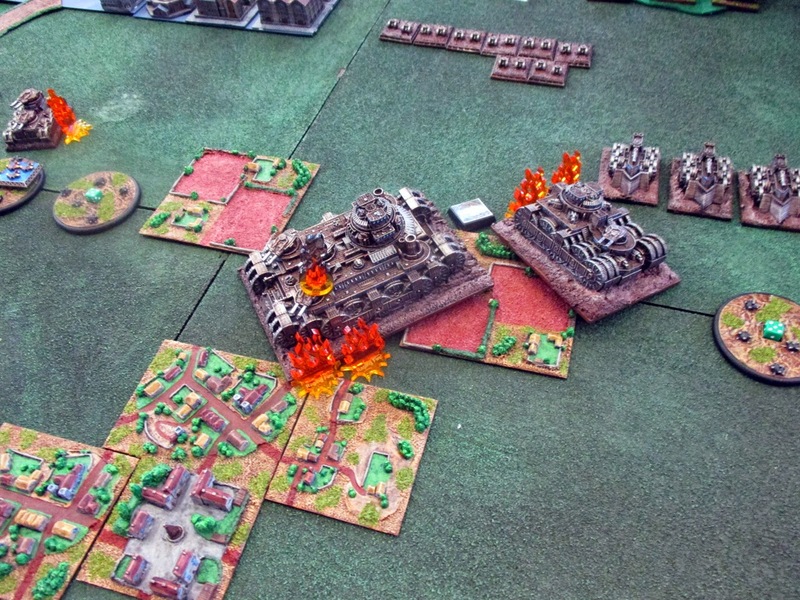 Aware of the impending threat posed by the Polish marines, the Blazing Sun forces defending the city concentrate their fire, knocking out one airship after another until all three smash into the ground outside the city. At sea the Blazing Sun Corvettes make a bold attack run on the Russian flagship, after punishing fire from the Guan Dao Battlecruiser. 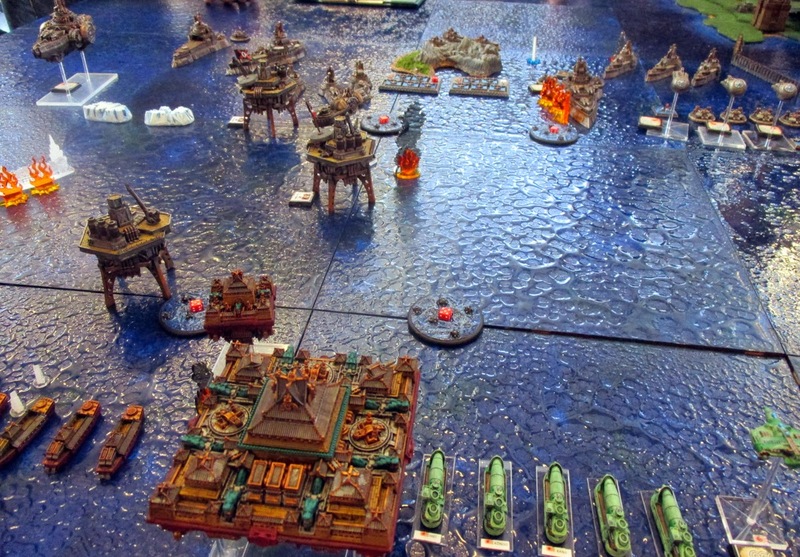 Reckless Japanese Stormtroopers leap aboard the Moskva Dreadnought, and swiftly overpower the Russian marines, plant explosives, and leave the massive vessel a derelict hulk. Admiral Konstantinovich only escapes capture through the swift action of his aides, and he hastily boards a fast motor launch and relocates his headquarters to the Khatanga Heavy Battleship. 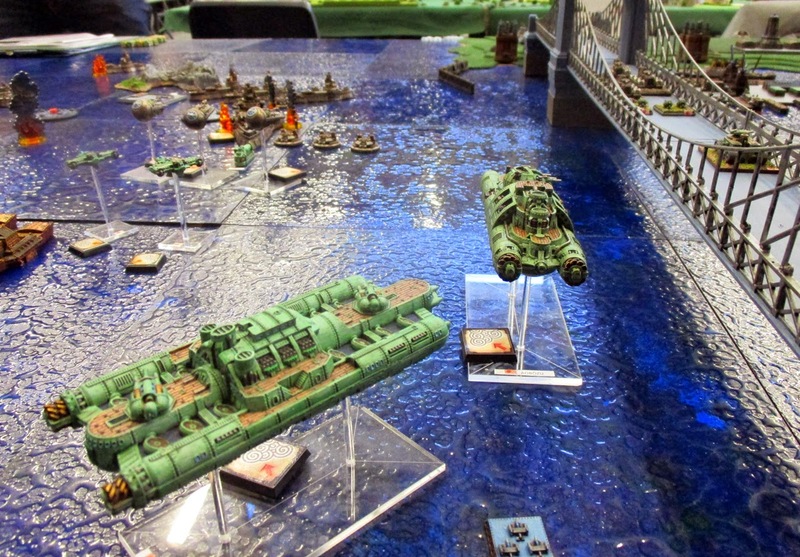 In response fearless Cossacks aboard the Kazimov Corvettes launch a fast-boarding assault of their own, seizing and making derelict the damaged Yueri Terror Ship without the loss of a single Cossack. 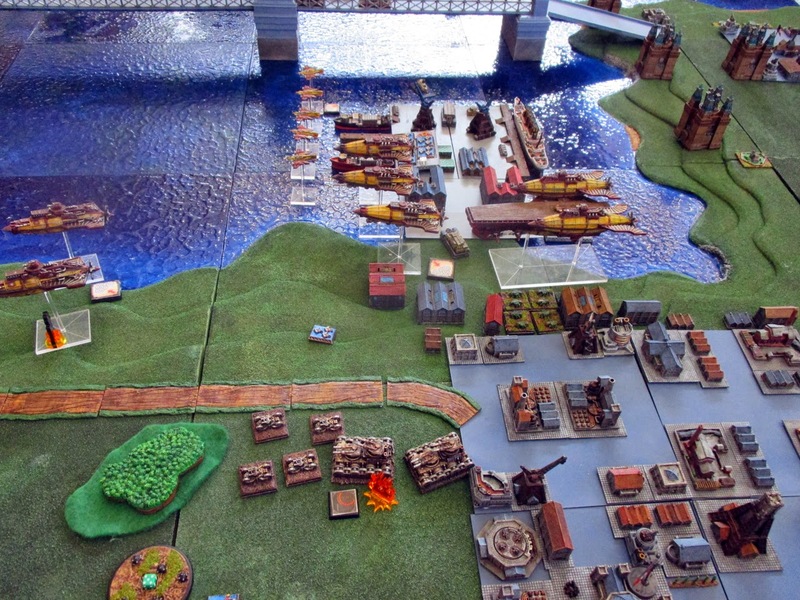 Now at closer range, the Russian fleet bombards the Dun Bastions smashing them to pieces and shattering the protective Rampart generator field. However, the Bastions have served their purpose and the Zhamadao Dreadnought is now able to manoeuvre amongst the oil rigs, spewing fire in all directions and setting Russian cruisers alight. Only now do the Russian ships realise the threat of the Jian Battleship, as the numerous conscripts aboard muster for attack. Accurate gunnery rakes the stout Chinese battleship, but it ploughs onward closing with the Russian fleet with grim determination. On the plain outside the city the Belgorod Landship and Kursk Land Dreadnought are pounded by salvo, after salvo of incendiary rocket until both are alight. Russian return fire damages the Hover Squid and picks off the advancing Bansan Small Walkers and Ke-Ho Tanks, but the other Japanese medium walkers remain frustratingly out of range for the Russian gunners. 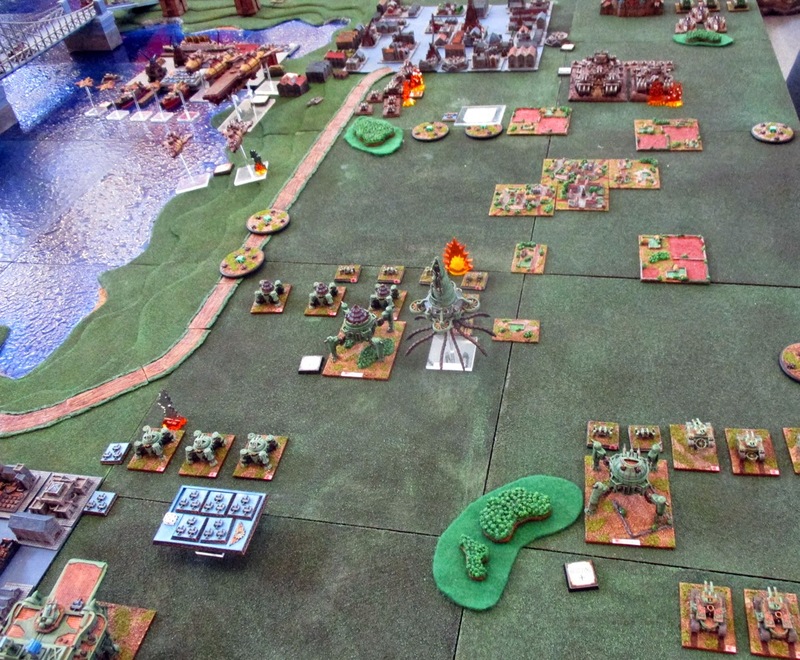 Authors Note: At the end of the second turn, and the first full day of play, the Imperial Bond score 7 Campaign Points (3 from objectives, and 4 from scrapyard Victory Points) while the Grand Coalition score 8 Campaign Points (4 from objectives, and 4 from scrapyard Victory Points). When added to the points from the first turn, the total scores are tied at 12 points apiece!